The government has said it will regulate the food eaten by social workers in a bid to improve wellbeing under shock plans tabled this week. 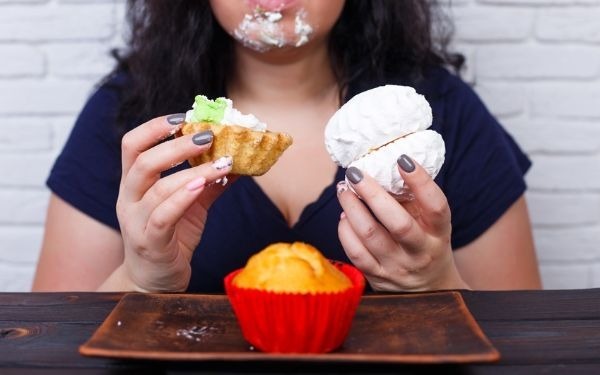 Ministers believe the key to solving burnout, high caseloads and turnover lies in enforcing a reduction in the sugary content eaten by frontline social workers. The plans, announced by the minister for not letting you have nice things, Peter Ian Staker, said this was the government acting to improve social work working conditions. “We’ve read the results of employee surveys, been on visits, and have concluded that this is the most evidence-based way to improve social work productivity,” Staker explained. He added the move came after he witnessed social workers taking a break from work to wish a colleague happy birthday over some red velvet cake. The government believes the plans will put an end to the 3pm-4pm ‘drowsy time’ where the combination of tea and cake make social workers less efficient and is thus causing a pile up in caseloads. Industry experts have said the move could ruin local supermarkets, who rely on social workers buying sugary treats to get through the day for 87% of their revenue. Fruit will also be hit by the plans, Staker explained, as his diet tracker had informed him apples were high in sugar. Plans for a new research centre focused on social work eating habits were also unveiled by Staker. Its role will be to evaluate the evidence of what foods do and don’t improve productivity and come to no clear conclusions about it, Staker explained. He added how £4 million will be invested in ‘WaistLine’, a social work training provider targeting people who didn’t like sugar in a bid to bring the “best and the lightest” into the profession. April Loof, head of the UK Association of Social Workers, said it would consult with its members over the plans but refused to criticise the government’s policy. Old Loofy, up to her usual tricks, colluding with the Government. Shocking behaviour today of all days! How will it be regulated? Will someone sit with them at home to see what they eat? Lol. Lol my thoughts exactly kevin! 🙃 I had a bloody good laugh at this. Bloody cheek. Love it😂 the best of April’s fool day. The “Minister for not letting you have nice things” lol! I know! I love it!!! I’ve been listening to the government over recent years and I keep thinking ‘it must be a joke’ only like on ground hog day, the same stuff keeps being circulated. Initially I believed that one of them could have come up with this and, I’m still not convinced otherwise. 1. Austerity to end today. All Social Workers to receive back dated payments after the Bankers decided it was time to make amends for their crimes against society. 3. Social Workers pay to rise at twice the rate of inflation for the next five years to make good the theft of their income by the Tory Government. 4. Pension Reforms from 2014 unfair Government to reinstate final Salary Pension Scheme. A man called horse. Can we have this for Foster Care Workers too? If Government really wants to help SWk then stream line the management so money can be spent to employ front line staff. When I read that the cost of social work accreditation (NAAS) was going to be £23 million pounds* with much of it going to Consultancy Firms and at a time of austerity everywhere: I was sure it must have been April Fools! Ok…we need to vote! …… Cake.. Job… I vote CAKE!! and Mzuzile Nqabeni you are in sooooo much trouble!! Perfectly agree with the government!!!!!! Red velvet cake is overrated.. Too funny well done community care.. I was galf way down before it occurred to me, what day!. You must be joking. Invest the 4 million into increasing sw force which will decrease caseload. Which as a result increase performance and wellbeing. People that spent time on researches of this nature have nothing better to do. This minister clearly hasn’t got a clue. How about reducing caseloads and make it a manageable workload. This is today’s best joke! Thanks for making me laugh! The government cant control themselves re budgetary constraints and transferring blame onto others . Avoidant behaviour and transference of blame onto genuine workers. Narcassistic ideologies. Trying to control others from their mismanagement strategies. They won’t be able to see or accept their failures and misgivings and the fact they can’t accept that noone else will be able to enforce their acceptance of blame . Social workers are genuine real individuals with real feelings and invidualities. A valuable contribution to today’s society. Britain is a democratic country with free speech independent thoughts choices etc It’s not a communistic country. The uk care act 2014. Independence choice respect dignity privacy and choice and safety . Are they going to take away independent thoughts negating individual choices thereby denying respect . The government are the ones losing their dignity by failing to accept each of our own unique individual identities . Time for change . Whilst this was funny, particularly as we laughed at a colleague who was cross about ‘this new Government policy’ in the office today (02/04), our employer has just done a consultation about not allowing unhealthy snacks in the office for shared snack tables or bring and share lunches. You can bet your life that in social care we filled in the consultation with brutal honesty. The funniest bit was the statement that they did not want to be known as ‘the food police’! Bring on the contraband biscuits and black market sweets; it will make them all the more delicious.